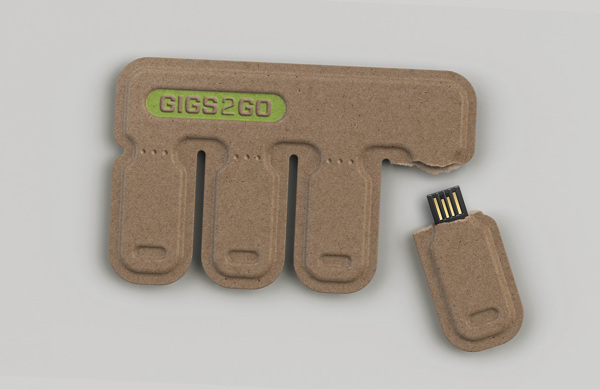 GIGS.2.GO is a credit-card-sized pack of USB flash drives, with “Tear-and -Share” technology. 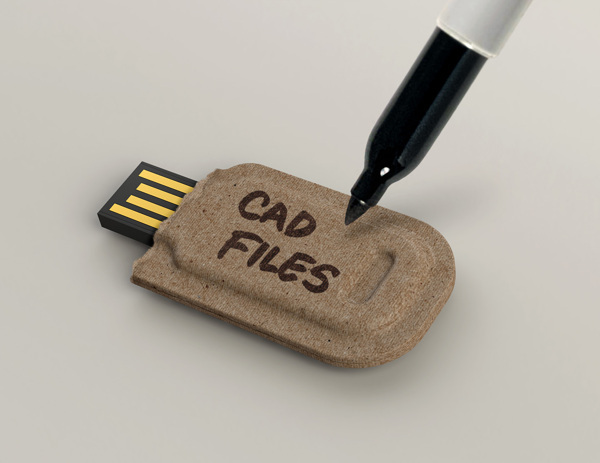 Simply tear off a tab when you need to quickly share files on-the-go. 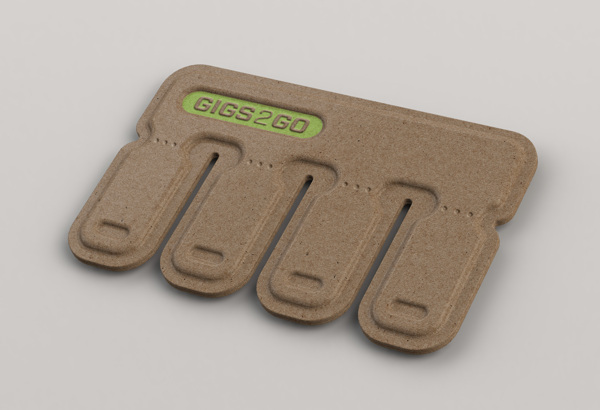 GIGS.2.GO is made from 100% post-consumer molded paper pulp. When you need to share files on-the-go, simply tear off a tab from the GIGS.2.GO pack. 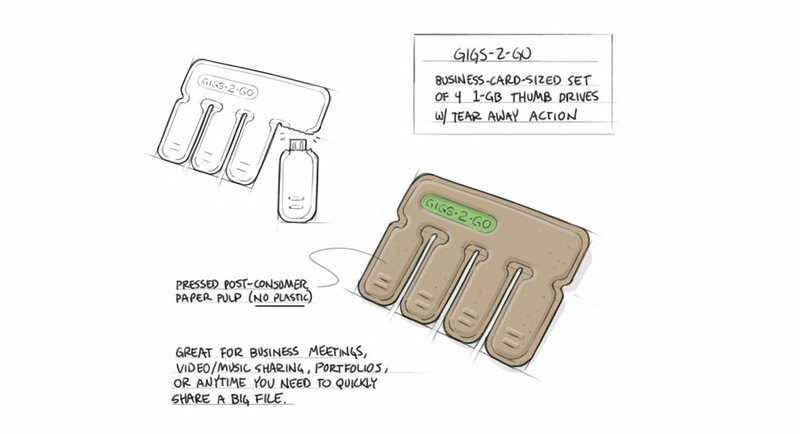 Each tab is a tiny thumb drive. Because this is inexpensive and made from renewable materials, you can feel comfortable leaving the tabs behind. And you’ve still got more tabs, ready when you need them. The molded paper pulp enclosure is made from 100% post-consumer recycled paper. 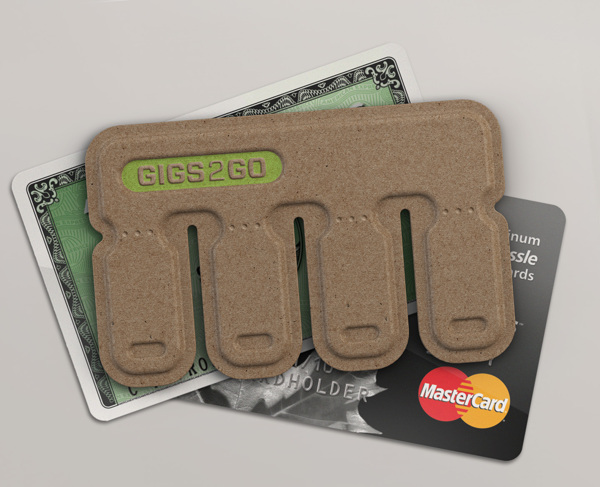 It’s renewable, biodegradable, lightweight, cheap, and durable enough to ensure that each tab should last for many uses.